You may think what the big deal is about buying a hat? You can simply go to the next available shop and get what you need. 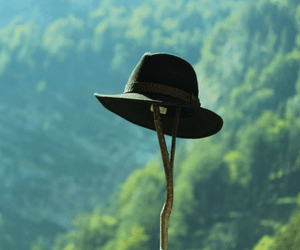 Now that may be a kind of approach, but will it guarantee the best hiking hats for you? Well, well, I know what you are going to say, the hat is after all not the crucial part of your hiking gear. The question is, does it really matter what type of hat you are wearing. The hat is, after all, your first level of protection against nature’s wrath, so it is indeed important that you have the right hat on. Whether you are a man or woman, the hat like most other clothing items undergoes continuous change and evolution. Every season and occasion ushers in a brand new trend and color specification. 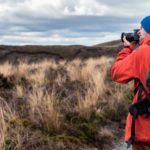 So how can you decide what is the best hiking hat, when you are spoilt for choice to this extent? 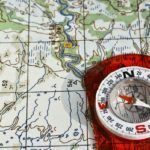 We can understand that the overall decision can be very difficult and may often leave you confused about the real deal. 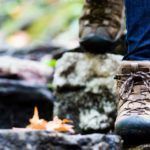 But we decided to make the choice a lot simpler for you with our ready guide of the best hiking hats that you can buy now. 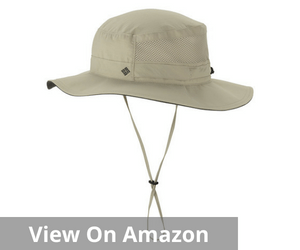 The Columbia Bora Bora Booney Hat is one of the best hiking hats for any type of adventurer. This is both a functional and versatile hat with sufficient room for comfort and also serves the whole purpose of an adequate sun cover equally well. 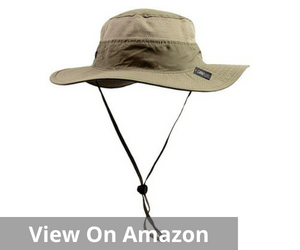 This is a comfortable and well-protected hat that offers maximum protection from the sun. With a UPF 50 rating, this hat is one of the best options to tackle the harmful ultraviolet rays. This comes with a moisture-wicking sweatband and has a wide brim. That means irrespective of the number of hours you may be out, your face and neck are well protected at all times. In fact, this is one of the best sun-protection plans while on a hike. 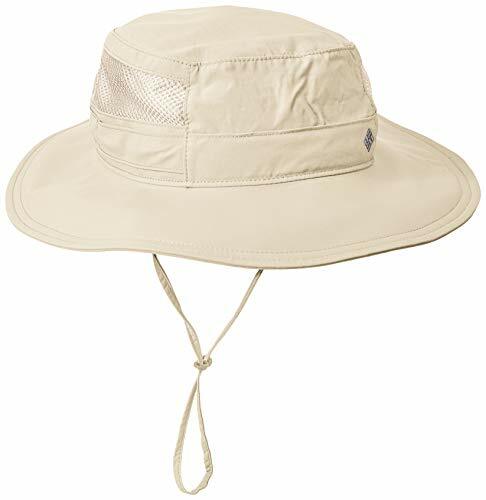 This is a primarily nylon hat that has a recommendation from the Skin Cancer Foundation. The adjustable chin strap and the quick dry system add to the overall comfort element of these hats. They ensure that the wearer is always comfortable wearing these and do not feel the complete effect of the sun. Brim almost floppy in looks with no definite structure, almost like a floppy hat. Some reviewers have expressed their dissatisfaction with the shape but it serves its purpose rather effectively so cannot be considered a complete negative in that context. 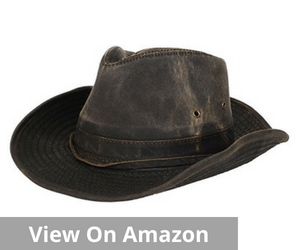 This weathered cotton hat is rugged and a classic hiking hat. 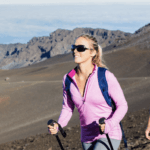 In fact, when you are looking for one of the best hiking hats, this is one of the most convenient alternatives that you can opt for. The interior browband and the lining of the hat help absorb the additional sweat and keep a cool and comfortable façade at all times. 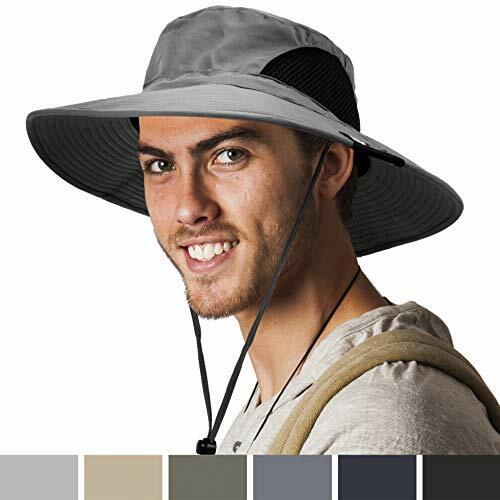 This is a broad shaped hat that completely blocks the sun and offers complete protection to your face, ears, and neck. The wide rims along with the UPF50+ rating are one of the best ways to protect your face if you plan to spend a long time in the sun. It minimizes the impact of the harmful ultraviolet rays gives you maximum coverage from potential tanning. With this hat, you can be more comfortable about spending long hours in the sun. It also means that the potential after-effects of the ultraviolet rays are also significantly limited. The adjustable chin strap helps in making this hat rather secure. So whatever be the circumstances you may be in, whether windy or sunny, this hat promises maximum protection. It will ensure that the hat does not just fly away in case of strong winds. Sizes can be slightly misleading, better to order for a size lower. This comes across as a matter of concern repeatedly across a cross-section of users. So you need to be very careful about the size that you choose when you are ordering your hat. 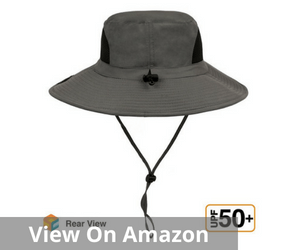 When you are looking for the best hiking hats, the good news is that a majority of these offer UPF 50+ sun protection. These are all primarily anti-UV and appropriately vented. That means the first and the most important concern about the harmful sunrays are addressed properly. The Camo Coll too does not disappoint users on this count. Along with that, this hat also has an adjustable drawstring for fixing the hat. This makes the hat more secure and keeps it in proper place even on particularly windy days. 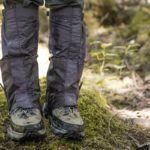 This is what makes it a great option for any outdoor activity from gardening to camping and hiking as well. This a rather lightweight and comfortable hay and easily fits into your head. It is neither too tight nor very loose. That is what makes this such a comfortable headgear in any type of weather. It does not feel either sweaty or overbearing. 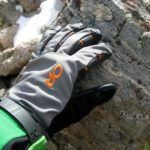 The breathable fabric enhances the overall user comfort. 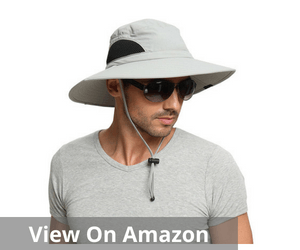 User reviews indicate that this hat is particularly effective in keeping the harmful impact of ultraviolet rays at bay and helps you experience a way more comfortable time even when you are under the direct sun. In terms of hygiene too, it is a great option. This hat is quite simple to wash, and there are no maintenance issues in the case of this one. It also dries very quickly so no problem on that count either. What’s more, this hat is one of the ultimate bargain buys. Despite being power packed with features, this is a rather affordably priced hat. Protection from the sun is one of the best features of the Sun Cube Premium Boonie hat. This is also that unique feature that makes it one of the best hiking hats. This is one of the premium outdoor hats that can offer you best possible relief from the scorching heat as well as the harmful effect of the UV rays. 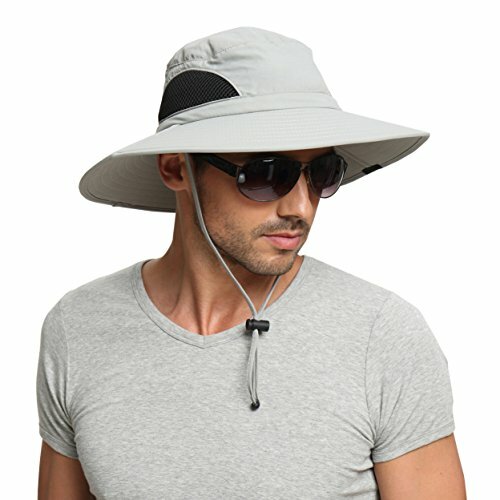 The 50+ UPF rating implies that you can take it easy with regards to worries about the harmful impact of the UV rays, So whether you are out fishing on a hot and sunny day or you are simply gardening, your headgear makes sure that you experience an only minimum impact of the continued exposure to the sun. What makes it a rather compelling buy is also the relative comfort element that you associate with this hat. The material is a breathable one, and this allows it to easily work and remain cool even on the warmest day. The mesh side panel and the moisture wicking spandex sweatband adds to the user comfort by minimizing the sweat level and easy absorption of the same. So if you are unsure how to deal with all the sweat on a hot sunny day, wearing this hat will solve the problem for you. In other words, this is an extremely versatile and functional hat that enhances the user experience considerably. The adjustable chin strap coupled with the snug fit further creates a sense of comfort and ease of use. Storing the hat is no great worry either. You can easily store it in a neat box and take it out for use once you hit the hiking trail. This hat also spoils its users in terms of the range and variety of color options they have. 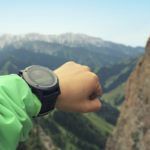 This gives you better flexibility in terms of wearing matching accessories whenever you are out for a hiking trip. The brims droop in an unbecoming manner. 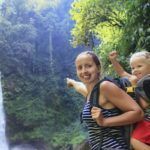 This is another multifunctional, versatile and a hugely popular hiking hat that pretty much fits in most head sizes. In very simple words, this is one of the best examples of one hat that fits all sizes uniformly. Whether you are a man, woman, large-headed or a small headed, this wide-brimmed hat will always enhance the comfort and feel of the overall user experience. This unisex hat is also high on the protection quotient. The brims are rather large at 3.7-3.9 inches. This helps in reflecting the sun rays away from the face quite well. So whether you are worried about the redness of face, sores or any such issues, this is an easy solution to deal with it quickly and effectively. Additionally, this polyester hat is also waterproof making it the best option in case of sudden rain. This also comes with an adjustable chin strap for convenient adjustment and at the same time securing it tightly in case of strong winds. The moisture absorbing sweatband makes it a rather useful hat in very humid conditions. So whether it is a pool party or a day at a beach, this hat will always add to the convenience. 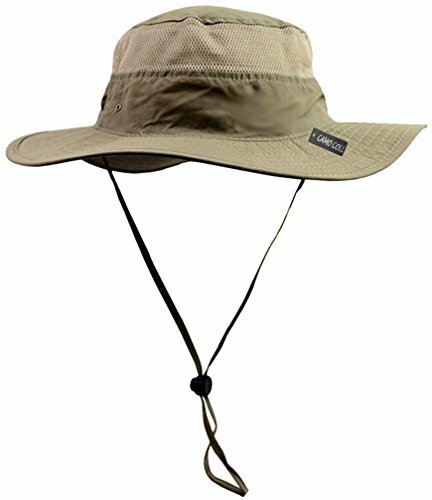 The parameters for buying the best hiking hat are quite similar to that of buying any other clothing item. Your personal comfort and fit is the primary pre-requisite. You have to invariably go for an option that fits you well and offers a reasonable amount of comfort. After all, you have to spend a long stretch of time wearing the same hat. So if you don’t choose something comfortable, you may have to do without it and completely defeat its purpose of wearing. The biggest concern is the price of the hat. 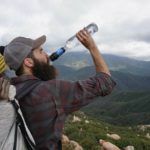 When you are looking for the best hiking hat, your budget is very important. Hats are available in a wide range of prices, but not everything may be as per our choice. Some might be too expensive; again there might be some that are too cheap. This is exactly why it is very important to fix a definitive budget and then look for options within that price band. In this way, you will be able to narrow down your choice to the most relevant options. Most of the hiking hats are available in a wide range of sizes from small to medium and even large. It all depends on your head size and how tight a fit you normally prefer. The material of the hat also impacts the overall size. There are some that are made of stretchable material. The size here will be relatively different from the conventional measurements. Therefore, when you are deciding on the best hiking hats, it is very important to pay attention to the details. You have to invest a sufficient amount of time and energy in figuring out the best possible options for you. Often the material and the style of the hat are interconnected. Each is linked to another in a unique way. Essentially hiking hats are available in a wide range of materials. The specific choice will depend on your personal preferences as well as the overall efficiency of the material. The purpose for which you need the hat will also have a role it. It is possible that you may look for a thicker material that blocks the sun or a light waterproof one to save from the rain. Your final choice will be essentially an amalgam of all these choices. Well, when you are considering the best hiking hats, the durability is the crucial factor. The hat that you choose must not be too flimsy in nature. It should be sturdy enough to last you for a long time and also offer adequate protection from the heat, rain and other forces of nature. Normally good quality hats are the ones that are durable and last for a long time. But sometimes they are quite expensive. But given the overall return ratio, it is always a good idea to invest in a hat that is tough, stylish and promises to serve you for long. The style of the hat that you opt for also has a bearing on your choice. When you are deciding on the best hiking hat, you are often spoilt for options. There are many styles that are popular at different points in time, and moreover, they serve a unique purpose. Some offer you better protection from the sun while others may be more useful to block the wind. 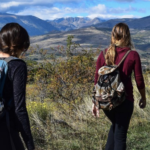 The location of your hiking destination also plays a role in deciding the type of hiking hat that you eventually settle for while gathering your hiking gear together. Therefore the choice of the best hiking hat is not as simple as you thought it will be. It needs a crucial understanding of the exact situation and circumstances that you will be using the hat for. That will go on to decide the exact material that you may be comfortable with. The exact amount of money that you can set aside for the hat is also important. 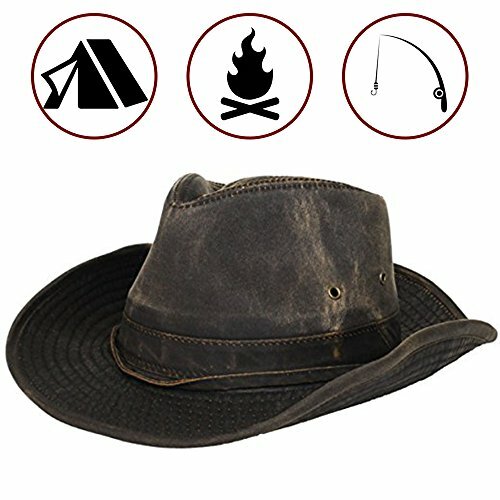 The final buy has to be a unique combination that balances your preference, budget and efficiency of the hat. 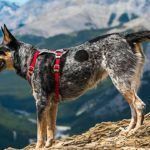 In case you find the task too overwhelming, you can always go through this ready list of the best hiking hat and take your pick.